Boulder, Colorado is one of the world’s foremost outdoor playgrounds, with stunning mountains, nearly endless trails, world-class mountain biking and rock climbing, and the cultural center of Colorado. For those who are looking to get far from the ordinary, but still stay close to the metropolitan center of Denver, Boulder is the dream escape destination. 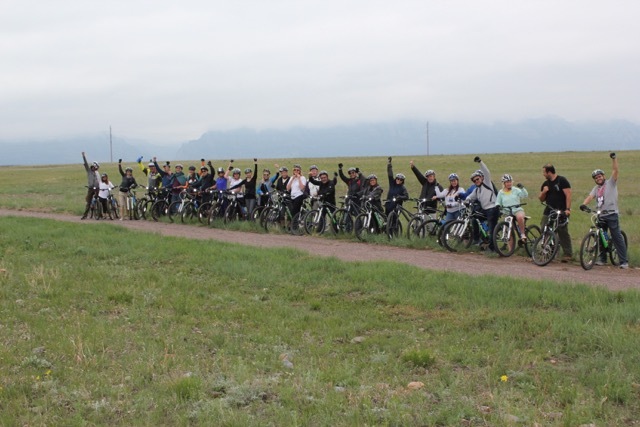 Colorado Wilderness Corporate and Teams calls the city of Boulder home, and we utilize its open spaces to create one of a kind team building and leadership events. Come explore the best of Boulder, Colorado’s landscape for your team. Colorado is one of the world’s centers for outdoor life, and the locals know and love their outdoor spaces. From rock climbing in Boulder Canyon, to fly fishing in Boulder Creek, mountain biking through the wavy southern hills or the famed Switzerland Trail, or hiking the famed trails up Mt. Sanitas, Green Mountain, or Bear Peak, there a multitude of options for every group and ability. 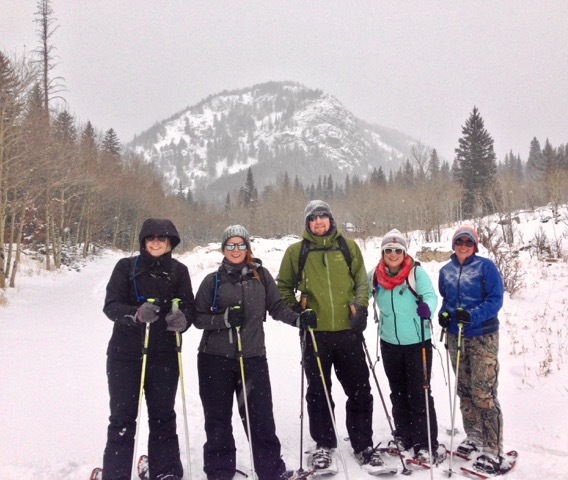 Check out of some our full and half day group activities in Boulder for your group: Click here. We have more options with our sister company Colorado Wilderness Rides And Guides as well. Four hours is enough time to experience the rugged Boulder landscape. 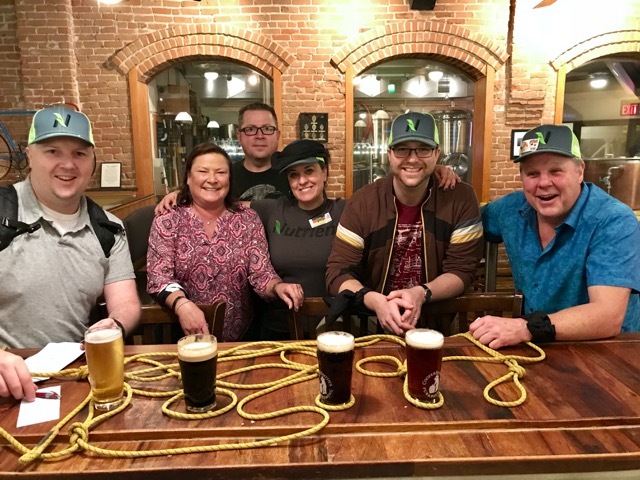 Fly fishing, biking, hiking, sightseeing, or rock climbing will invigorate your team and let them explore a side of Boulder that many other large groups don’t get to see. Fly fishing will take us to Boulder Creek or Sawhill Ponds, where we have easy access to the water, instructors at the ready to teach basic casting and angling techniques and some of the best looking brown and rainbow trout on this side of the state. Mountain biking takes us to South Boulder and the rolling hills under the spectacular Flatirons, Boulder’s famed sandstone formations, where we’ll get to challenge ourselves on world-class biking trails with a variety of options from easy to intermediate and difficult, depending on each person’s individual ability level. We can explore Boulder Creek Path, which runs through downtown Boulder and up the Canyon. A paved path for an easier ride, the Boulder Creek Path explores the best of Downtown Boulder. For an extended tour, take the Switzerland Trail, which starts at the top of the canyon and then rides the old railroad grade back down to downtown. 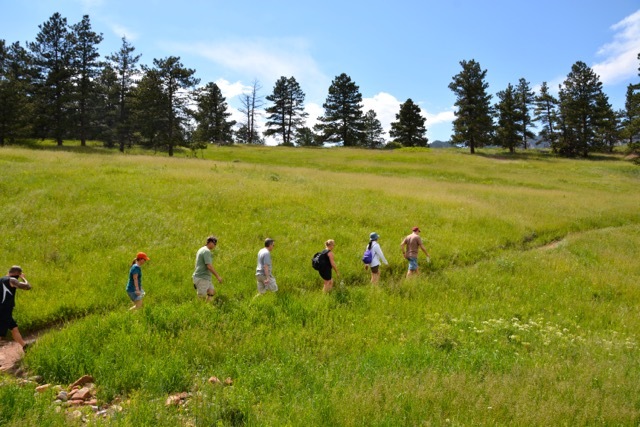 Half-day hikes take your team to the best of Boulder’s most iconic sights. We’ll get to explore Royal Arch, a magnificent sandstone formation that overlooks the Flatirons all the way to the city of Denver, and a panorama of Boulder from above. We can also get to the summit of Mt. Sanitas, a local classic, where we get a splendid overarching view of the city and the Flatirons in profile. For easier hikes with less elevation gain, we can explore South Boulder and the Mesa Trail, with it’s gentle rolling trails, but supremely gorgeous views of the eastern plains on one side and the Flatirons on the other. 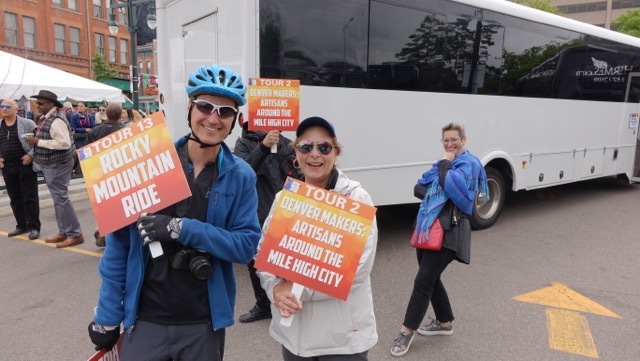 For those who don’t want to hike, sightseeing takes visitors in our air conditioned and heated van to see the best of Boulder’s roadways, from the cultural and artistic center of downtown to the top of Flagstaff road, with its spectacular panorama of the city from above. We’ll start in downtown seeing such legendary landmarks such as Boulder Theater, Pearl Street, and the Boulderado, Boulder’s oldest hotel. We’ll then head up Baseline Road and make our way north toward Flagstaff Mountain where we’ll get to travel to the top of the peak and get a gorgeous view of the city and the mountains beyond. If you want to add an extra element to your trip, we’ll go at sunset, where we’ll get to see the city in a spectacular golden light. Half-day rock climbing will take us to new heights. Literally. We’ll get to explore Boulder Canyon, one of the centers of world rock climbing, with thousands of routes lining Boulder Creek, from beginner to cutting-edge ascents. 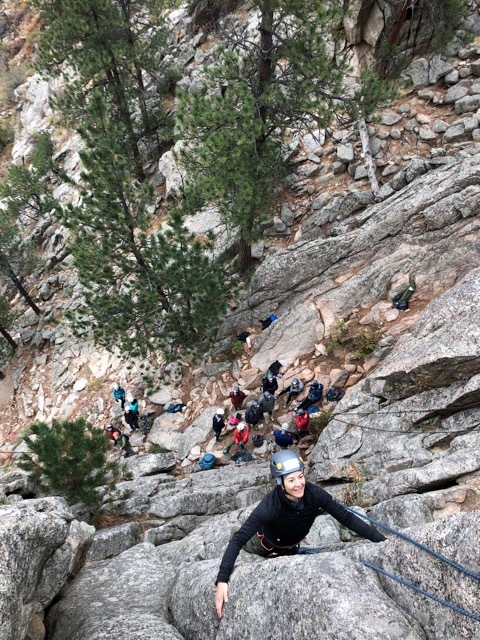 Only a 10 or 15 minute drive from downtown Boulder, we’ll drive up and take a short hike up into the canyon, and set up several top ropes, ropes that are hung from above, as our expert staff instruct and lead the fundamentals of climbing. Once you get to the top, you’ll feel a sense of accomplishment that you’ve never experienced before. To really experience the best of Boulder, only a full day activity will allow you to take your team to exciting new lengths. From exploring the outskirts of Boulder to doing a multiple peak ascent day traversing the range that rises dramatically above the city, you’ll get to experience Boulder in way that few others get to see in a short time. Just an hour west of Boulder is the small town of Nederland, set dramatically at the foothills of the Indian Peaks Wilderness. This own little hamlet of a town features a number of other adventure options, including mountain biking, hiking and sightseeing. For mountain biking we’ll get to explore the trails of Magnolia, with it’s intermediate and technical winding trails through the forests of the foothills. One of the most legendary rides in Colorado; Magnolia is a dream ride for many bike enthusiasts, and just an hour west of the city. In the Indian Peaks, hiking and sightseeing will take us to the edges of Brainard Lake, and beyond, where we’ll get to see wildlife such as elk and moose, and secluded pristine lakes and big mountain scenery. This is a great way to invigorate your team and get them to a place that they’ll be talking about for a long time. Boulder, Colorado has long been the home and breeding ground for some of the world’s greatest athletes, including Olympians, climbers, skiers, trail runners, and mountain guides. And these athletes don’t come without concrete lessons in leadership. We rely upon our local characters to teach leadership through living in the mountains, and we bring those lessons to your team. Through activities that we’ve developed based on personal experience in the mountains, we’re able to build life-long lessons about what it means to be a leader, whether it be an inspirational figure in the office, or a leader on a climb in the mountains. Our Leadership Development courses are meant to instill values and then keep them going long after the event has concluded. Join some our leadership development activities in boulder for your group: Click here. Boulder, Colorado prides itself on the impact of community. We’re constantly working and collaborating together to improve where we live. We pride ourselves in our community impact programs, which help to use adventure and team building to better the lives of others, whether it be low income families, or the people who enjoy our climbing walls and trails. 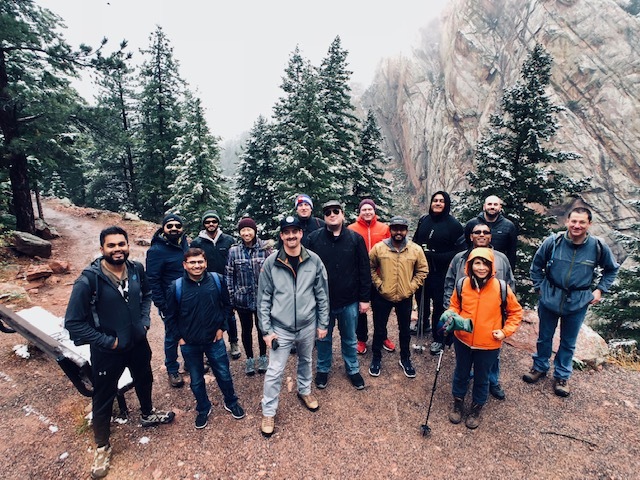 Join Colorado Wilderness Corporate and Teams on a community impact event, which will both improve the relations of your team and help others and the community as a whole. 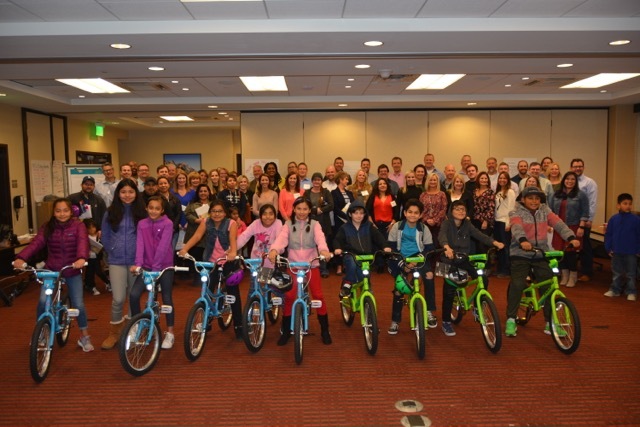 Colorado Wilderness Corporate and Teams hosts a build a bike challenge where teams will get to build bicycles to donate to low-income children in need. We buy the dismantled bikes and provide the tools and the knowledge to build brand new bikes for children. 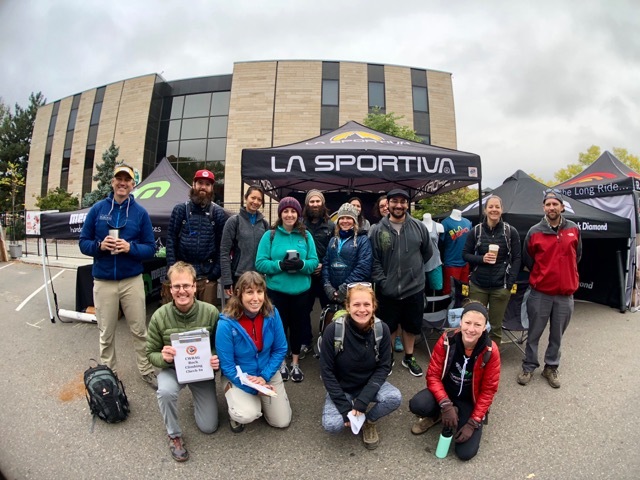 Some other options include trail and climbing wall cleanup, to help better the overall outdoor community, or learning about our local fly fish ecology and then assisting in improving the facilities. Do good and feel good with your team! Everything we do is designed for individually for your group. Please contact us at 720-242-9828 to discuss a custom experiential group activity in Boulder, Leadership development event, team building experience or community impact event. Colorado Wilderness Corporate And Teams mission is to transform teams through positive and powerful experiential adventures. join us to re-connect with your team or take your team to the next level of success and effectiveness.